The traditional and most baked Joulutorttu (Finnish Christmas Tart) is the one I showed you in my previous post: star shaped! 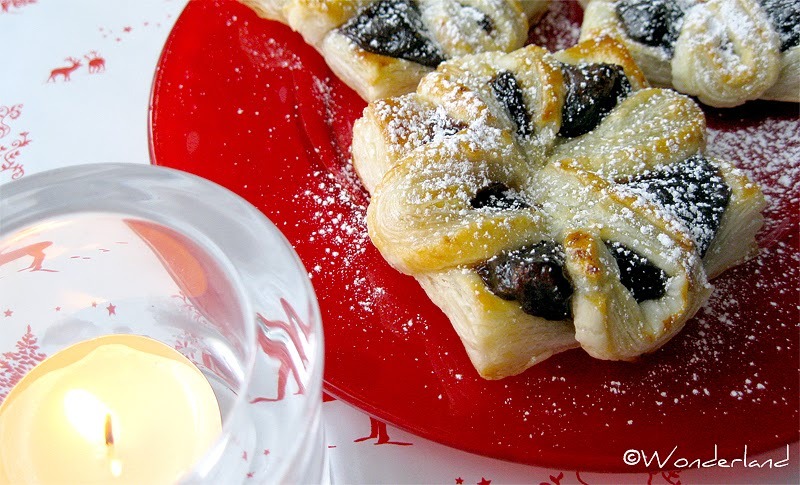 However, there are variations to this type of pastry and one of them is the flower shape. I will write the directions again, even though it's really simple to make these. Cut the pastry into squares about 10x10cm in size. 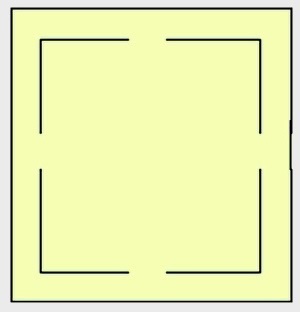 With a sharp knife, make four L shaped cuts in the sheet. 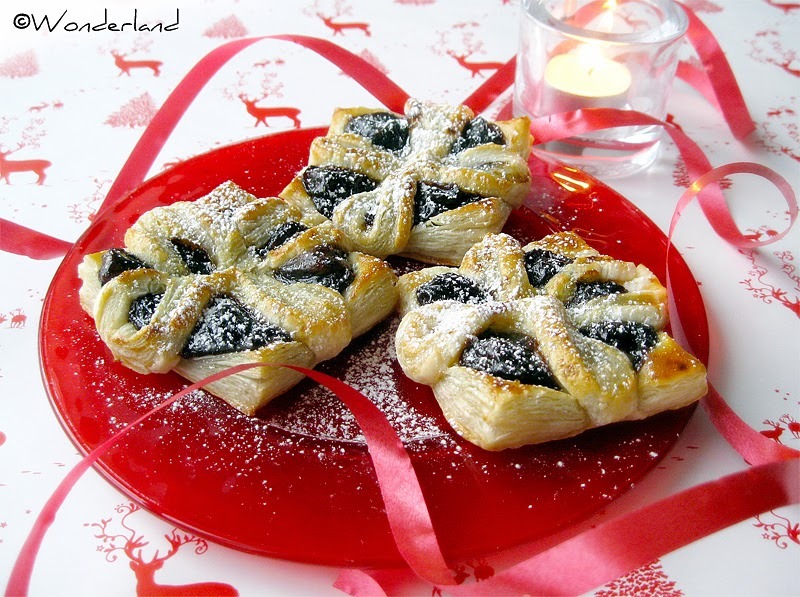 Place a teaspoon of jam in the middle of the tarts. Fold the four outer corner towards the center and press down gently to hold them together. Brush the top of the pastries with lightly beaten egg. Bake at 225º C (437º F) for about 12-15 minutes, until the pastries have gotten a nice color.